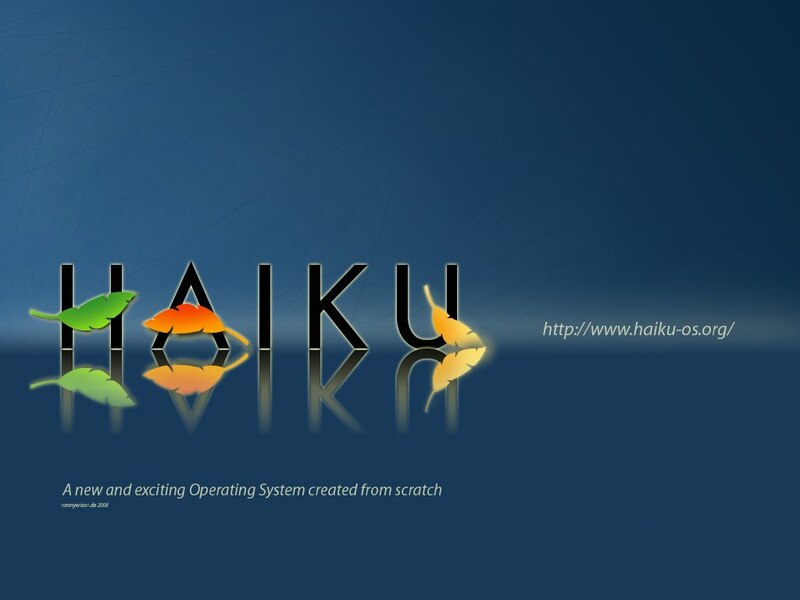 A few days ago I posted a few Haiku desktop backgrounds that I made myself. 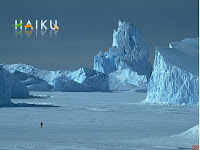 Then I discovered this great wallpaper (left) in the Haiku forum and which you can get from here. There are some others here which are not quite of the same quality but certainly better than my amateur efforts. 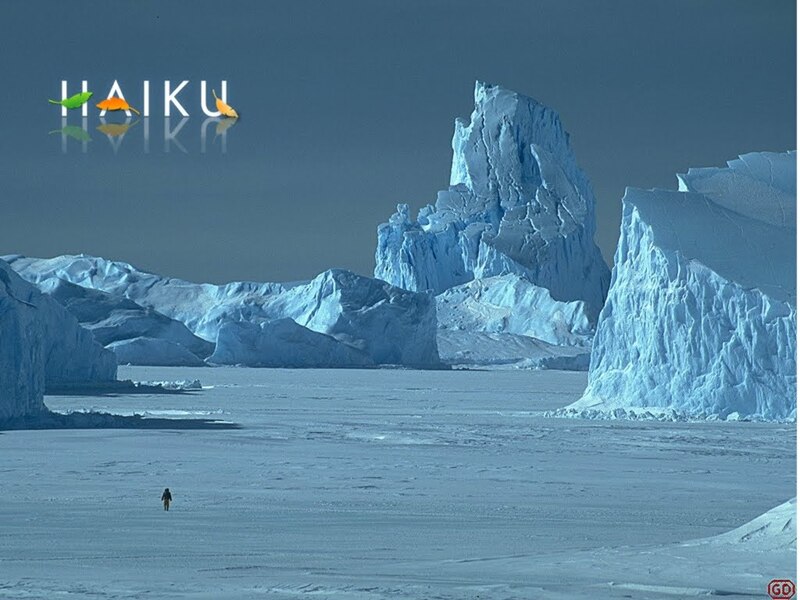 Speaking of my amateur efforts, here's a variation on the antarctic ice theme (right) that I included in my earlier wallpaper post. I followed this tutorial to get the reflection which turned out not too badly.